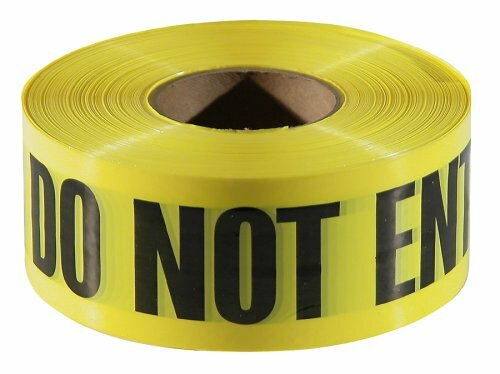 Keep a large quantity of inspection and status record tags available with tags by-the-roll–a portable and disposable dispenser roll for your on-the-go inspection and status record tag needs. Tags by-the-roll feature an eye-catching, octagon-shaped cardboard dispenser with 100 PF-Cardstock tags housed inside. Pulp-free PF-Cardstock tags are more durable than traditional cardstock, and will not crack, distort, or shrink. The matte surface is scuff-resistant and easy to write on with pen or marker. Simply pull out the 6-1/4 inch x 3 inch tag from the box to easily tear off. The next available tags stay neat and clean together in the 6-5/8 inch x 6-5/8 inch x 3-D/8 inch compact dispenser box, which features a 1-1/2 inch perforated center hole for mounting. 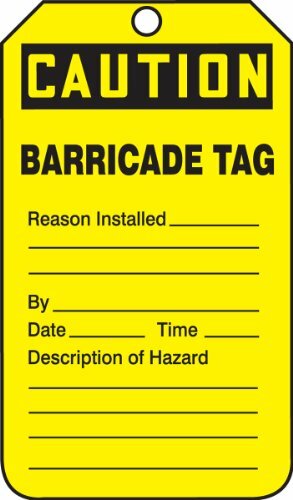 Prevent any potential for accidental injury and property damage with NMC selection of highly-durable Tags. 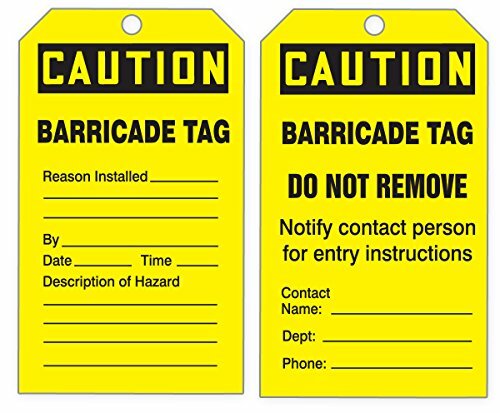 Our Tags come in a wide range of materials, legends, and options, but you may have more specific requirements. 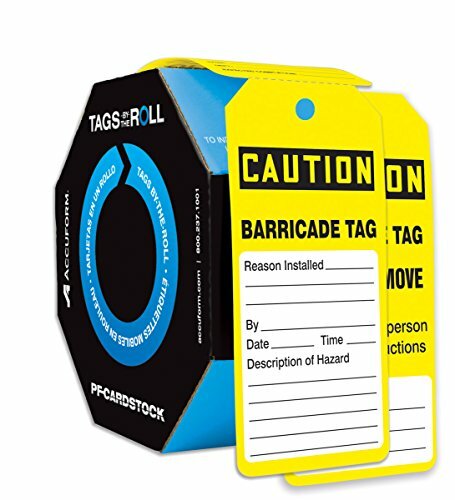 Refill tags Pack is designed for use with the ACCUFORM quick tags safety tag dispenser–simply open the quick tags dispenser and reload. 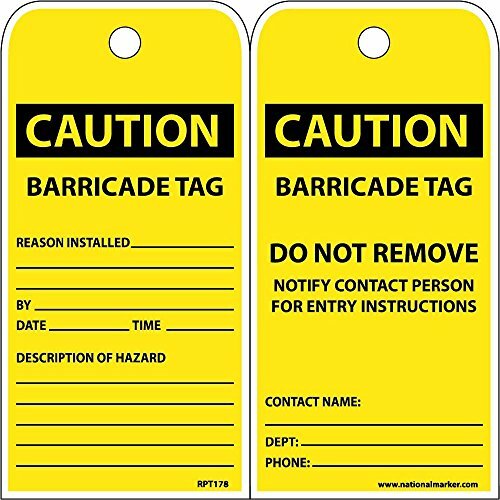 Pf-cardstock tags are die-cut shaped like a traditional tag, yet connected end-to-end with perforations and fan-folded to fit into the quick tags safety tag dispenser (available separately). pulp-free PF-Cardstock tags are more durable than traditional cardstock, and will not crack, distort, or shrink. The matte surface is scuff-resistant and easy to write on with pen or marker. 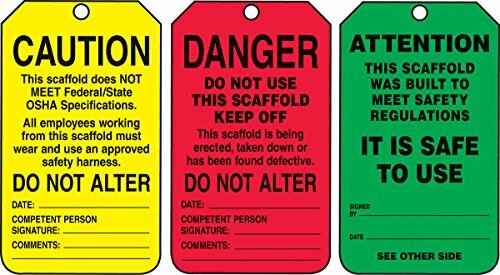 Quickly and conveniently, change the safety status of your Scaffold with our 3 ‘n 1 fold tag. 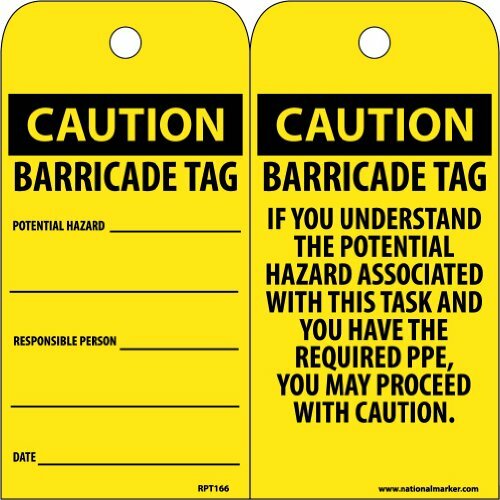 The thin and flexible 10-mil PF-Cardstock tags for indoor and short-term outdoor use. Pulp-free PF-Cardstock tags are more durable than traditional cardstock, and will not crack, distort, or shrink. The matte surface is scuff-resistant and easy to write on with pen or marker. Top has 3/8 inch plain hole with stronger pull resistance than patch-reinforced traditional cardstock tags.